Most children have a passion for art when they’re young. It’s a passion that should be encouraged since it helps them make sense of the world around them. Even if they don’t grow up to become visual artists, the practice they get translating their thought and ideas into concrete things is going to be immensely valuable. Art requires you to have the right tools (in this case, Perfect Tools for the Little Artist). Without them, kids can get frustrated very quickly. With proper materials, they can freely explore their talent and find new ways to develop their imagination and critical thinking. These are some perfect tools for the little artist that can make all the difference. You may be tempted to think that a pencil is just a pencil. However, the type of pencil you use can have a pretty significant impact on your drawings. Sketching pencils are divided according to their hardness into two basic types: soft and hard. Soft pencils are labeled with a B, and rough pencils are labeled with an H. HB pens are intermediary pencils, though they lean towards the softer side. Type B pencils are useful because they allow for a wider range of effects than either H or HB. However, they do tend to smudge quite easily. So, at first, it may be wiser to go for a Type H sketching pencil. It may not have the same range as type B, but it’s the perfect practice pencil. You can also opt for a mechanical pencil for drawing. The advantage is that they don’t have to be sharpened and can be much more precise and consistent than classic pencils. However, they’re somewhat limiting when you’re trying to create more dynamic sketches. This is the most basic tool you’ll need to get your art projects started. Many parents often buy their little artists watercolors to encourage them to paint. It’s a big mistake since watercolors are a very finicky medium, that requires a lot of practice to master. Kids often have very high expectations when they’re making something. Watercolors can end up frustrating them to no end. That’s why it’s better to invest in paints with a higher covering power. Acrylic paints can be especially rewarding. They tend to be slightly more expensive than watercolors but they last longer and they can be used on all sorts of surfaces, not just paper. You can use acrylics to decorate small objects or even fabrics. This makes it ideal for upcycling projects. The possibilities are endless! There’s a reason why paint brushes come in different sizes. Each of them is tailored to work with a specific type of paint. Using the wrong brush for the job is like trying to hammer a nail with a screwdriver. It can work, but the effort is definitely not worth it when you have a better tool for it. Round brushes are better suited for watercolors or rendering fine details. Artists use them because they can create dynamic lines, from thick to thin using one single stroke. Round brushes are not very useful when it comes to painting large surfaces, however. Straight paint brushes are better for paints such as acrylics. They can cover a large area quite quickly. Since children tend to focus a lot on big areas rather tiny details, straight brushes are a good place to start. They’re much more rewarding and can get the job done faster. 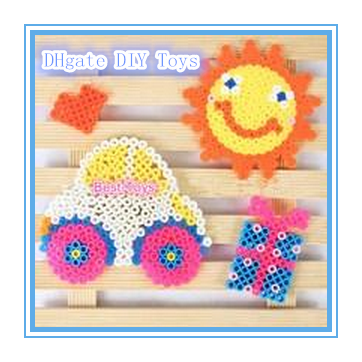 Air dry clay is another fun material to use in crafts. It’s better than putty since it’s not as soft, so your kids can really add a lot of details to their sculptures. It’s also different from oven bake or polymer clay because you can just leave it out to dry and it doesn’t require as much preparation. Of course, each material has their own advantages, so it’s hard to tell if one is better than the other. Once it’s dry, kids can paint over it or glue on details. It takes several hours to dry, so don’t worry about. They’ll probably get bored of working on their sculpture long before it hardness. Air dry clay is also more rewarding because it feels like a grown-up material. In fact, many established artists use this material in their craft. Though it’s an indirect benefit, it’s that’s worth noting. Clay modeling tools are very cheap, and they can allow you to do certain things you couldn’t possibly do just by using your hands, like creating sharp edges. The basic tools any little sculptor needs are a knife (they’re usually made of wood or plastic, so they don’t actually cut anything), a wire-end tool and basic modeling tools. You’ll recognize these latter ones, as they tend to look like thumbs. That’s basically what they’re trying to mimic, but they can allow you to be much more precise. Wire-end tools are used to remove clay and create edges. Encouraging kids to use these tools is going to give them a greater sense of accomplishment. Again, it’s that feeling that this serious business. It can also help them develop their motor skills since using tools like these with precision does require some practice. The results, however, are immediately noticeable, so the experience itself can be much more rewarding. One of the main reasons why you should encourage children to use proper art tools and materials, even if they’re making art just for fun, is to allow them to learn what each of them does. Once they’ve got the basics down, you should encourage to take that knowledge and start exploring other possibilities. Jules Feiffer, a celebrated author, and cartoonist explains how to draw with sticks and why he still sometimes uses them to draw. Feathers have also been a staple of the non-traditional artist tools, though oddly enough they may be some of the oldest tools man has used to make art. Textured fabrics and other materials can be used to create patterns and details. Leaf art is a traditional autumn craft. With a little bit of imagination and ingenuity, you can probably turn anything into an art tool, as long as you know the basics. So once your children get used to the feel of proper artist’s instrument’s and materials, and learn what each of them does, you can let them look for other solutions on their own. Art is a fundamental form of human expression that seems to come naturally to children. It can help them develop their abstract thinking and motor skills all at once. It’s also a fun activity that’s worth investing in, even if it’s just for the sake of passing the time. So be sure to invest in some of these Perfect Tools for the Little Artist in your life! Author Bio: Mark Fendelman is a passionate writer with a BFA in Creative Writing from the University of Evansville, Indiana. He also has a great interest in everything related to nutrition and lifestyle.